Graduation with a Bachelor’s degree from an accredited college or university with major course work in a field related to the job plus two (2) years of experience. As required based on advanced job role. 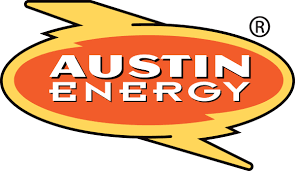 Austin Energy (AE) seeks an IT Systems Administrator Sr. to provide 24/7 technical support as needed for the System Operations Team. This position provides support to development, test, and production environments; performs troubleshooting on advanced systems/topologies; and supports critical customers in a utility environment. As part of the regular job duties, this position requires on-call rotations and a ability to travel to more than one work location. To be considered, all relevant employment information must be included in your online application. You may use “N/A” for fields that are not applicable. Incomplete applications will not be considered. Resumes are not part of the employment application process. Statements such as “see resume” will not be applicable. Be sure to include all your prior work history on your application. If selected, salary will be based on overall relevant experience from your employment application. Include all your prior relevant work experience for each of your positions for it to be counted towards relevant experience. Must comply with City of Austin’s Alcohol and Controlled Substance Testing rules for new hires and random drug testing. Note: We reserve the right to verify high school and college education for the top candidate(s). Note: Assessment(s) may be administered as part of the interview process. 1. Performs advanced focused architecting, optimizing, implementing, configuring, managing, administering, troubleshooting, maintaining and monitoring one or more of the following: infrastructure software, hardware,	systems/applications, middleware, servers/storage, and IP-based telecommunications. 2. Establishes and implements IT policies, governance, standards, and security. 3. Makes independent decisions for procurement of technical solutions in their focus area. 4. Creates, documents, publishes, and/or performs maintenance procedures and ensures all installations are in accordance with COA’s specifications and IT standards/governance. 5. Assists in planning, designing, procuring and delivering software and hardware purchases. 6. Ensures appropriate product specifications. 8. Installs new specific software releases and/or upgrades including researching, testing and implementing new technology. 9. Participates in disaster recovery planning and testing, including fault tolerance and detailed disaster recovery plan maintenance. 10. Communicates and interfaces with members of the IT, vendor and user communities. Provides technical or project leadership, training and guidance to others. May provide leadership on work assignments. •	The ability to quickly become familiar with emerging technologies.